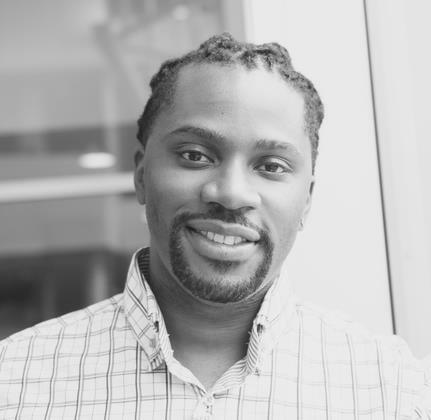 Born in 1980 in Paris from Guadeloupe (FWI) native parents, Olivier Leogane is actually working and living in Montreal. Son of a visual artist father, no matter in which form, painting has always been driven by an invisible and unexplained force that imposed itself to him. To this day, he still can not explain where this relationship stems from but it is nevertheless part of his being, his very core. It is, however, during his teenage years that he fully embraced that yearning. Street art and spray paintallowed him to discover the universe of creativity, color and space. His educationnal pathways and his doctoral studies kept him away from his passion, so Street art became his school. He defines himself as a self-learning artist. In 2009, with this first father&son exhibition, «Connivence», he was able to choose a different art route – acrylic painting on canvas. Since this first success he never stops refines and improves his artistic process and today he has come to propose the HORAGAI Art, based on a new technique that brings relief in a spontaneous and poetic way. This Art gave him the opportunity to exhibit his talent in solo or collective events in Montreal, in New-York but also in Paris (Caroussel du Louvre) and Florence. The abstract artworks of Olivier Leogane approaching the theme of the human being are true doors to an introspection; They plunge us into a world full of symbolism that inevitably challenges the viewer. According to P.V. Piobb in his Universal Key of Secrete Sciences, the radius of the circumference "emerges as the only means that the human being can employ to understand in the sense of containing, of delimiting. In this sense the circumference is the best figure for a delimitation, the most rational. " Indeed, the circle which is at the center of the approach of Olivier plunges us into a real in cellulo fascinating world. 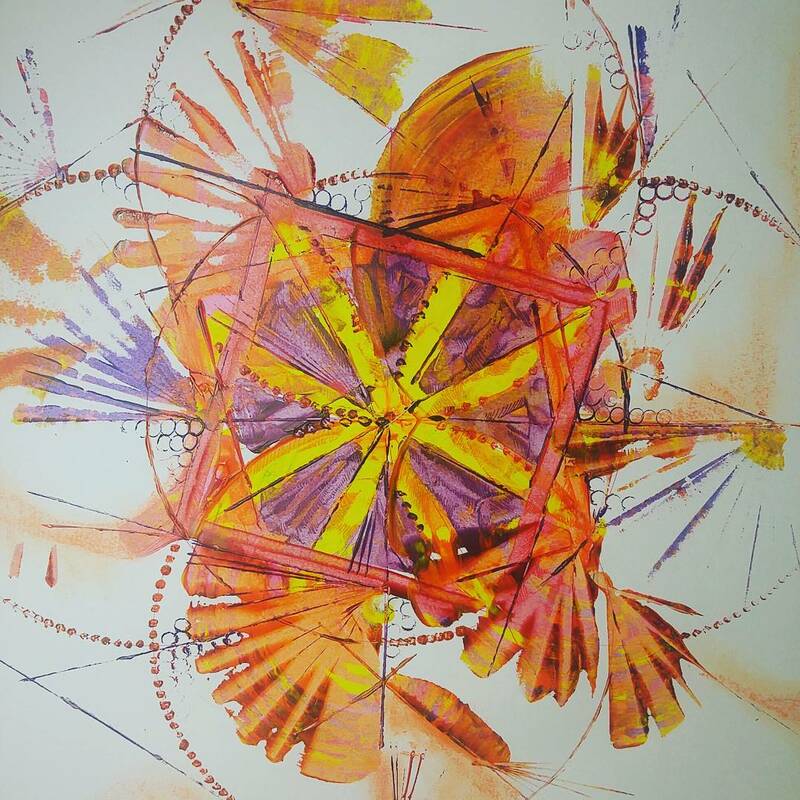 Combined with the sacred geometry of the circle, the energy of the artist's gesture allows the color to manifest itself in all its beauty. At the same time, the emotion at the execution, the center, the determining central point, will operate at the will of ceaseless movement between the center and the periphery a dance that cradles the gaze of the spectator. This choreographyleads to the metamorphosis of the circle which, as the process of creation progresses, will pass through phases of division, polarization, thus offering unexpected visual connections. Thus the pictorial universe is decomposed into several motifs, fragments that are repeated but retain a singularity that are their own. In addition to the circles, we find in the expressive mode of the artist, dividers of the circle, the polygons which also provide us with a key of interpretation as to the distribution of the energy, the colors and the forms of the work. The artist uses these polygons (triangle, tetragone, pentagon) in order to inscribe his geometry in a temporal space dimension. The layout of these polygons establishes trails in the texture and forms an axis of communication, a veritable language. The Universe proposed by Olivier Leogane is space in time animated by an infinite movement. The spectator bathes in a set that is energy, a cellular energy that comes to resonate with his inner self.